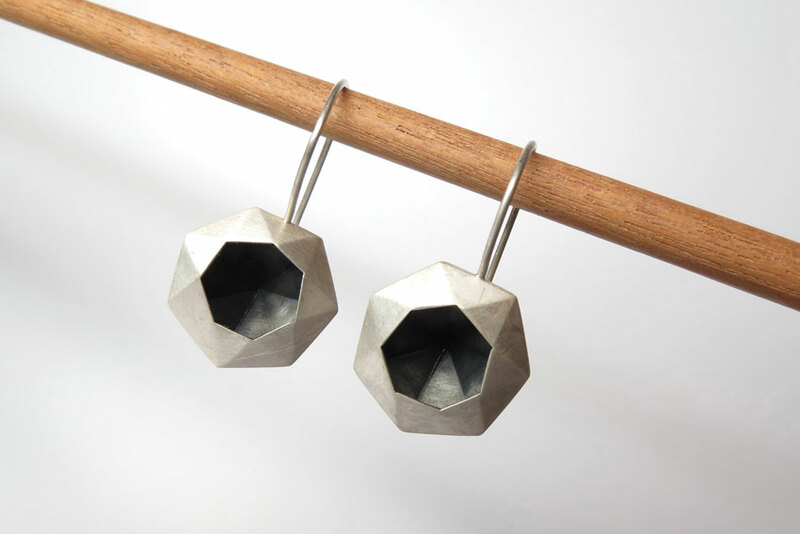 This spectacular jewellery range of individually styled pieces by Frieda Lühl includes an eclectic collection of oxidised silver rings, earrings and necklaces, featuring gemstones and beading. 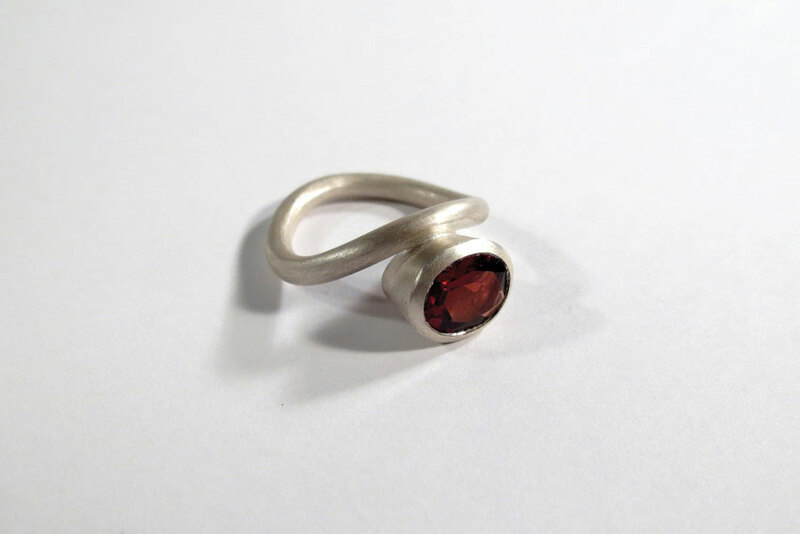 Frieda has a workshop and showroom at her home, where she also presents jewellery-making classes. Visit her website at www.frieda.co.za or contact her at info@frieda.co.za or 081 751 3026 for requests and more information. 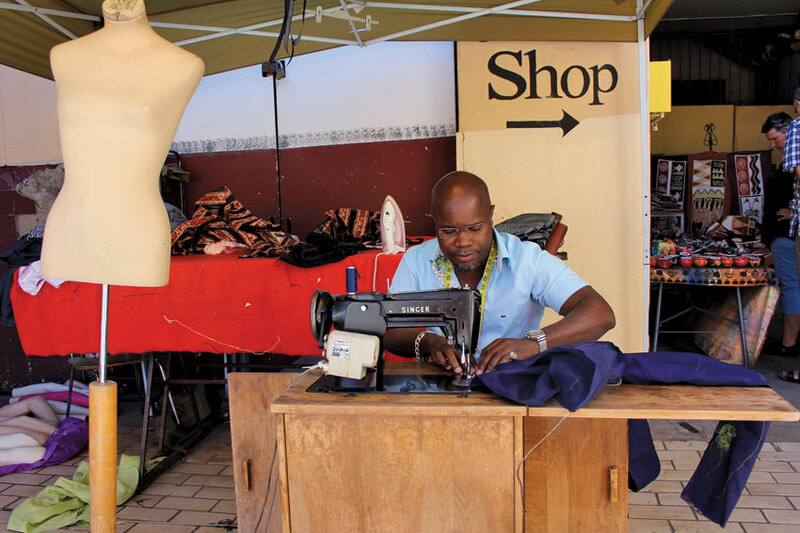 Vaniah’s Tailor – Craft market, WIndhoek. If you’re looking for a tailor-made suit to reflect your own personal style, with a wonderful Namibian twist to boot, you need look no further than Vaniah’s Tailor located directly next to the Craft Market in Windhoek’s Tal Street. Soro Gervasio will custom-make any suit you might want or need. Whether for casual everyday work-wear or something more formal, Soro will ‘sort you out’ and have you looking professional and fashionable at the same time. Crochet animals – Omba handcrafted toys. 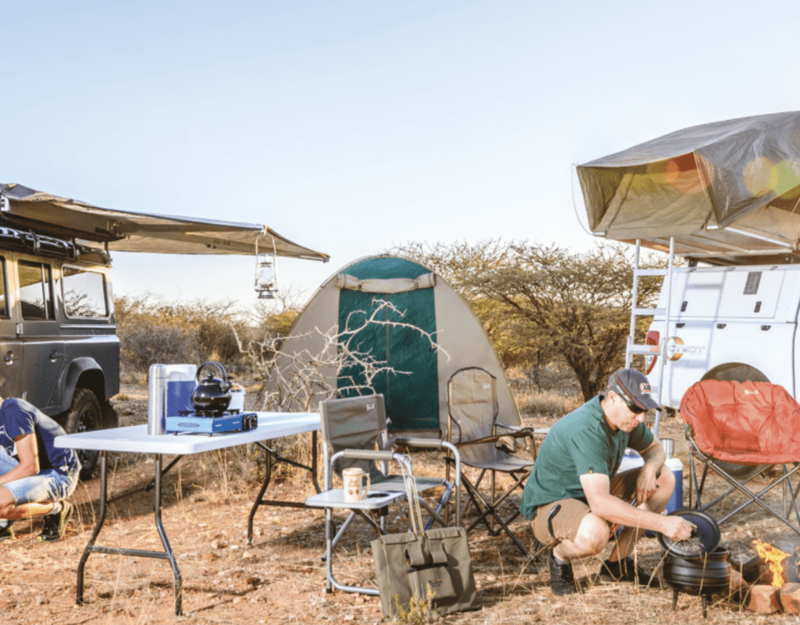 There’s always something uniquely Namibian to be found at OMBA. 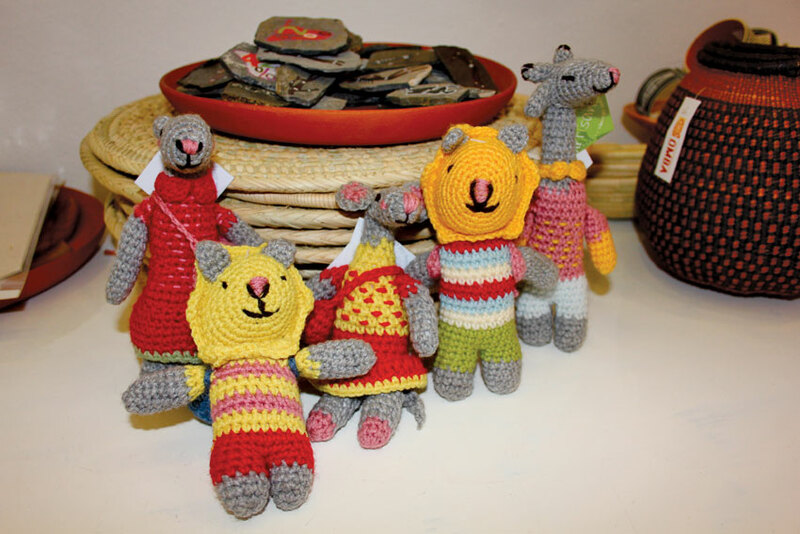 Their beautifully handcrafted crochet animal toys are perfect gifts that showcase the wide variety of skill-sets that Namibian crafters have mastered. 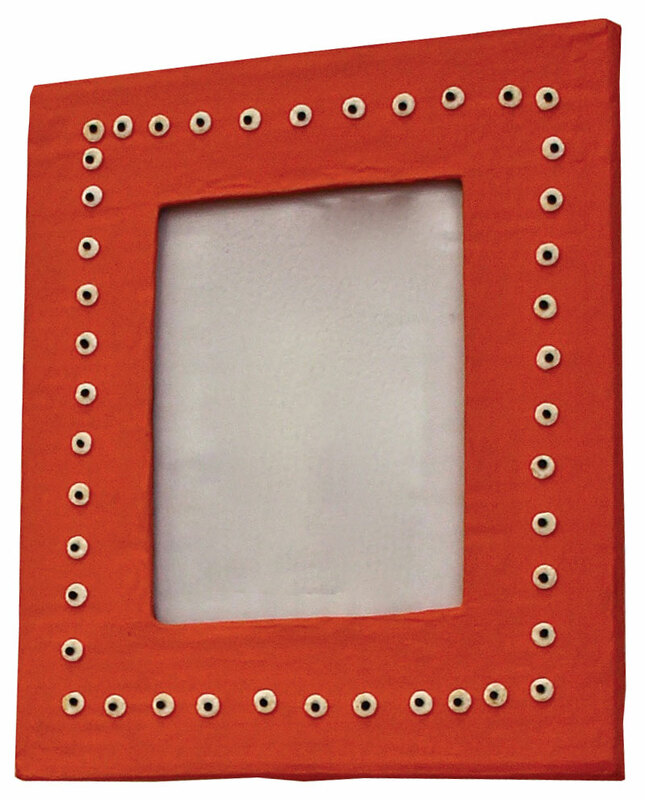 OMBA also features a new range of picture frames made from papier mâchéthat are decorated with ostrich eggs. 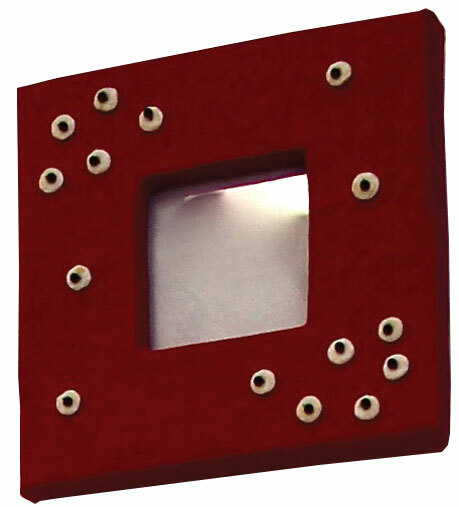 The frames come in a wide variety of colours and have a modern pop-culture flare. 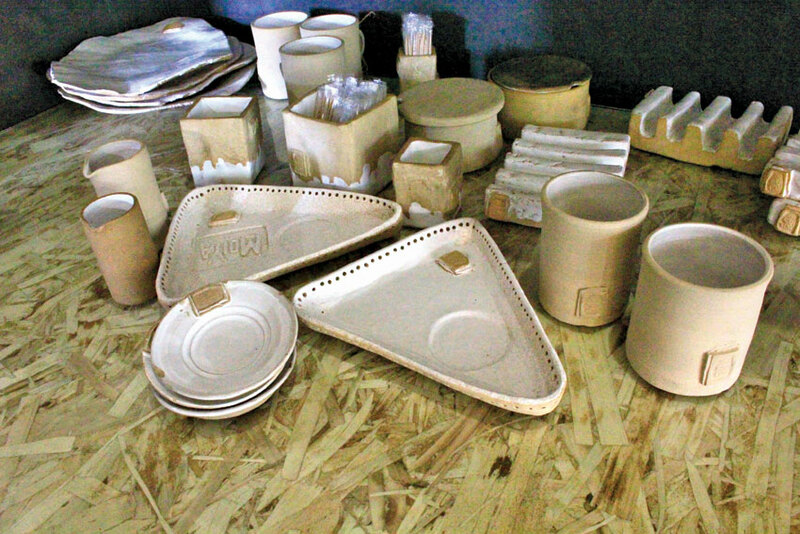 Mara Nembwaya’s street market crafts. Everyone who lives in Namibia or has visited our beautiful country is familiar with the classic Herero-woman dolls that are for sale in markets from Windhoek all the way up to Katima Mulilo. Maria Nembwaya has created a new twist to this Namibian icon by creating Oshiwambo-woman dolls in the same style. 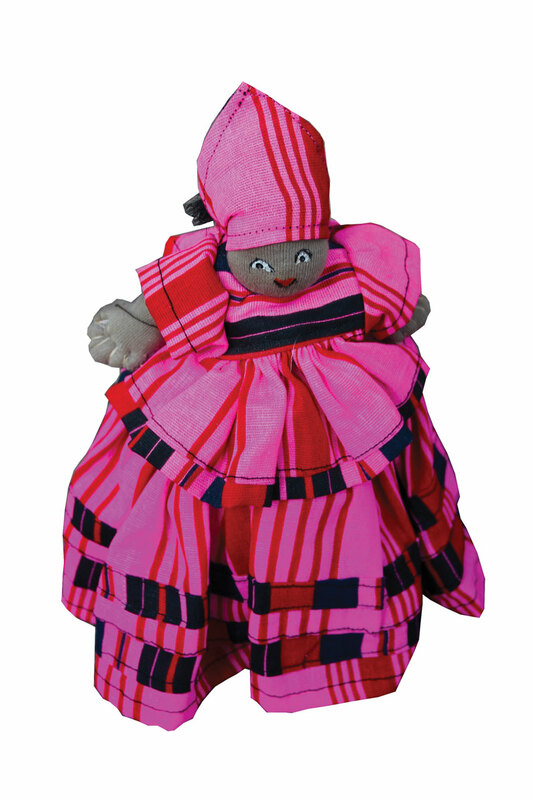 Maria Nembwaya’s unique Oshiwambo dolls. 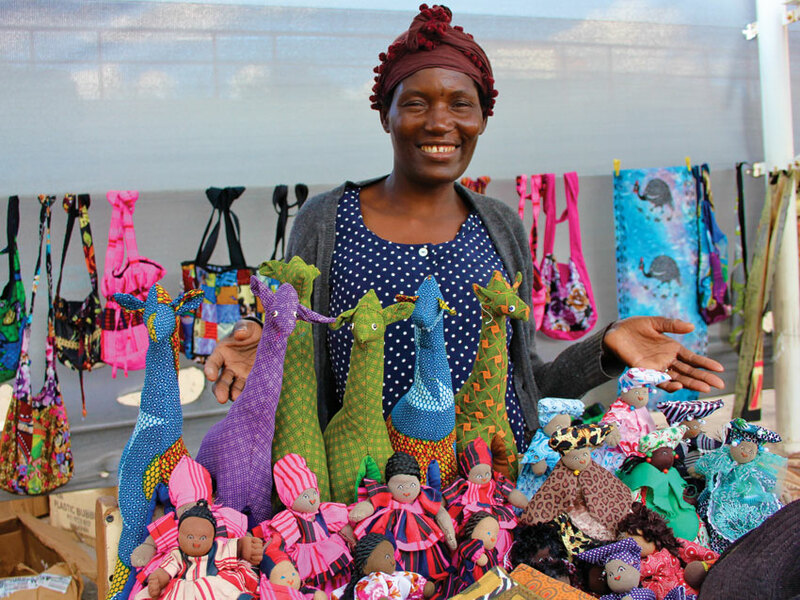 She also sells beautiful stuffed giraffe dolls made from African print materials. During the week she sells her products at the ???????? Centre in Independence Avenue, and on Saturdays she displays her wares at the Green Market across from Wilde Eend Nursery in Dr Kenneth David Kaunda Street. The world is making a concerted effort to try and save Africa’s rhino population from extinction. Amongst the rhino freedom fighters we find African Curiotique, a popular curio shop in Windhoek’s CBD. Situated in the Gustav Voigts Centre in Independence Avenue, African Curiotique hosts a wide variety of rhino-centric curios for sale and donates N$2,000 to the Rhino Fund every month. 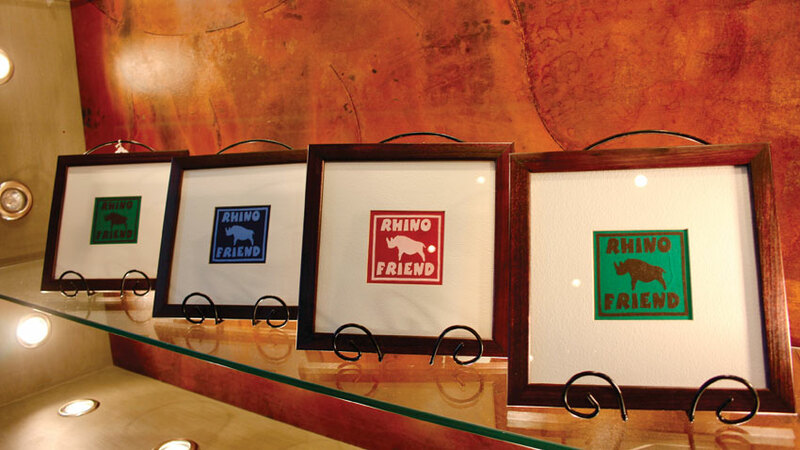 These curios include the Rhino Friend pictures (framed pieces of printed fabric donated by the Rhino Fund), the Rhino figurines, including the Undercover Rhino, as well as a painting donated by the family of the late D. Freyer. All funds from the sale of Freyer’s painting will be donated to the Rhino Fund. If you need beautiful coffee or tea sets for serving your winter morning coffees, look no further than the ceramics sold at The Joy of Food at The Village complex, 18 Liliencron Street in Windhoek. 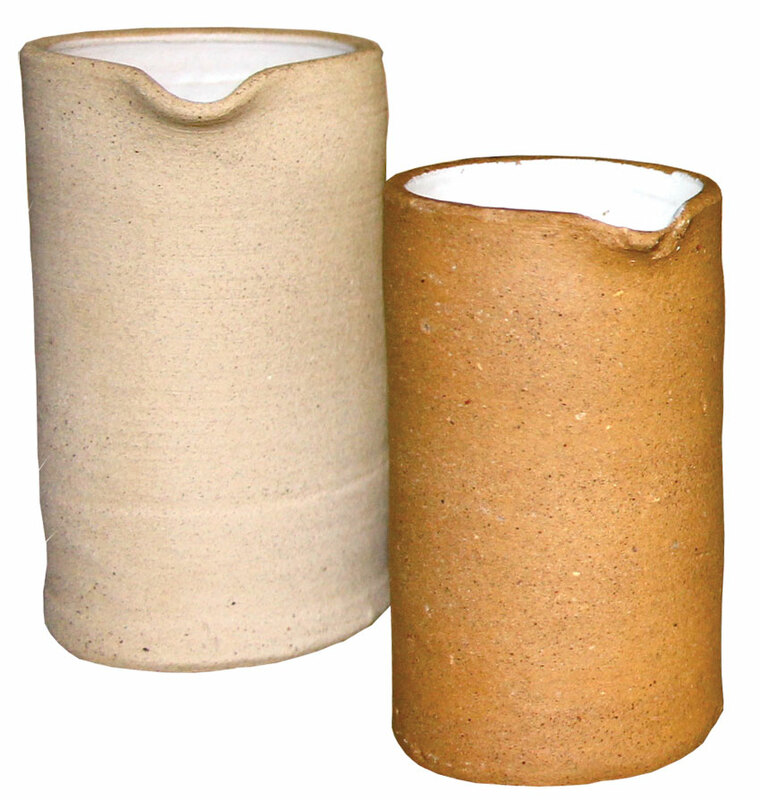 These hand-made ceramics have a truly rustic, natural Namibian look and are ideal as gifts or to spruce up our own kitchen.